A fresh pile of cooked Romano beans. A favorite in Italian-style cooking, Romano beans look like flattened green beans and have an intense, fresh-bean flavor. Rich in fiber, Romano beans -- also known as Italian flat beans -- have a meaty texture that makes them ideal for a side dish or as the main course for a vegetarian meal. The broad pods of young beans are smooth. When the pods reach 5 to 6 inches long, their surface becomes bumpy as the edible seeds inside grow larger. Fresh Romano beans may be found at farmers markets beginning in late summer and at specialty grocery stores year-round. Rinse Romano beans under running water to wash away any debris. Drain the beans in a colander. Set a steamer basket in a large cooking pot with 1 inch of water in the bottom. Turn the heat to high, and bring the water to a boil. Chop the stem and tips of the beans off with a sharp paring knife while the water is heating. Cut the beans into 1- to 1 1/2-inch sections. 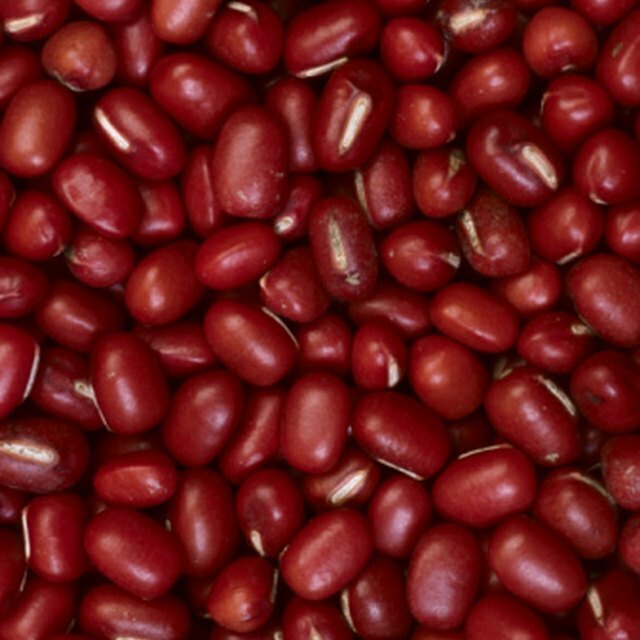 For an attractive visual effect, hold the knife at a 45-degree angle to the beans, to cut sections on the diagonal. Place the bean pieces in the steamer basket. Set the lid on the pot, and cook for three to four minutes. Remove the lid, and test the beans tenderness with the tip of a sharp knife. If the beans are not yet soft, use a spoon to rotate the pieces at the top of the steamer basket to the bottom, nearer the water. Cover with the lid, and cook for another two to three minutes. Drain the beans in a colander and serve immediately, seasoned with salt or salt substitute and fresh-ground black pepper to taste. Fill a large pot half full of water, add 1 to 2 tsp. salt, and cover the pot with a lid. Bring the water to a full, rolling boil over high heat. Add washed Romano beans that have been cut into 1- to 2-inch pieces to the pot of boiling water. Boil bean pieces until tender. Remove the bean pieces from the pot with a slotted spoon, and serve promptly. Cook onions, celery, carrots or any other garnish or vegetable you prefer, in oilive oil over medium heat until golden. Add additional flavorings such as tomatoes or minced garlic, then add cut Romano beans. Add seasonings of your choice to taste. Simmer over medium-low heat for 40 to 50 minutes, stirring occasionally, until the beans are soft and most of the moisture has evaporated. Cool your braised Romano beans for five to 10 minutes before serving. If you are using the steamed beans in a cold salad recipe, place the drained beans in a large bowl filled with cold water and ice. Allow the beans to cool completely before draining in a colander. If you have both small and large beans to cook, separate them into two batches for cooking because the thicker ones take longer to become tender. Add cooked garbanzo beans or fingerling potatoes to braised Romano beans to make a hearty entree. 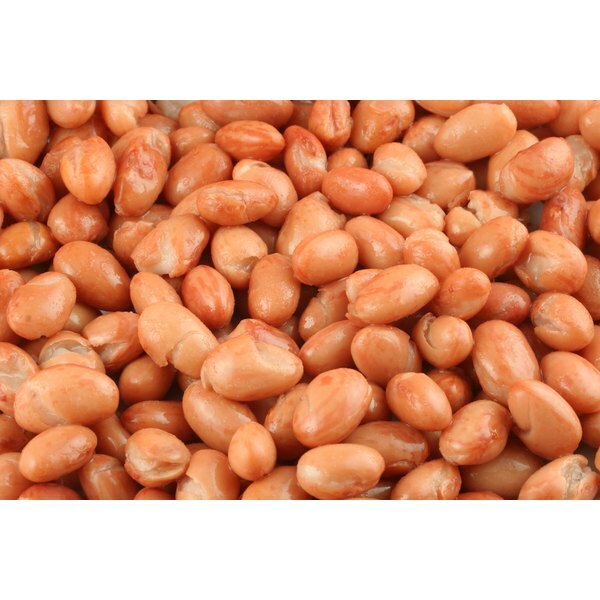 Do not use Romano beans with yellowing or wrinkled skin, conditions that indicate the beans are old, have lost their flavor and will remain tough when cooked. If you season Romano beans with lemon juice or vinaigrette, add the acidic liquid just before serving to prevent discoloration during the cooking process. New York Magazine: Romano Beans: Robin Raisfeld, et al. Eating Local: The Cookbook Inspired by America's Farmers; Sur La Table, et al.